Do you guys love to shopping ? Don't miss out this shopping paradise places ! 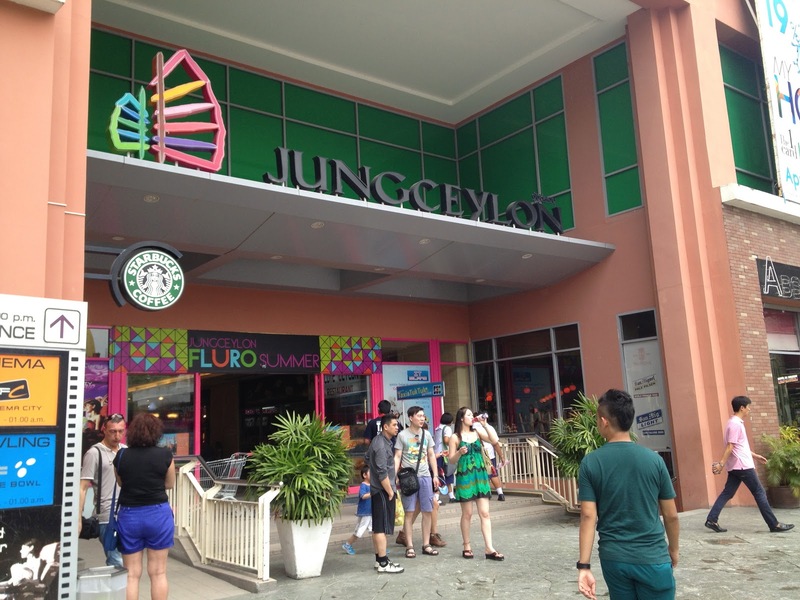 Jungceylon shopping mall is diagonally opposite Bangla Road. This shopping mall has change the look of shopping in Patong. 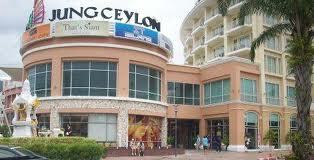 The two main stores in the complex are department store ( Robinson ) and Big C supermarket. There are more than 200 stores in this shopping centres such as brand-name clothes, shoes, electronic gadgets, cosmetics and many more. Don't miss out their entertainment heaven with a five-room SF cinema, 16-lane bowling alley and 4D rides. It's a perfect place for rainy days or to escape the heat of the day. Patong OTOP is just down the road behind the Holiday Inn. They are selling souvenirs, crafts, luggage, tailor made clothes, sportswear and jewellery. 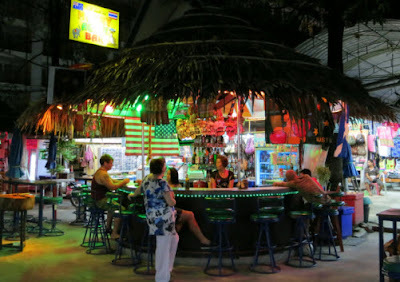 After 6pm, there is a lot of bars that line the alleys. Its a great place to have some drink after holiday shopping done. Its a fun and an unusual place to be. There is also a exchange bureau at the corner of the market on the main road along with several ATMs. Lastly, along the well-pt alleyways you'll find several restaurants, mobile food carts, and even a designated whiskey shop as well as a Black Canyon coffee outlet. The location at the Rat-U-Thit entrance opposite Jungceylon Shopping centre. You can find a lot of T-shirts and flip-flops outlets. 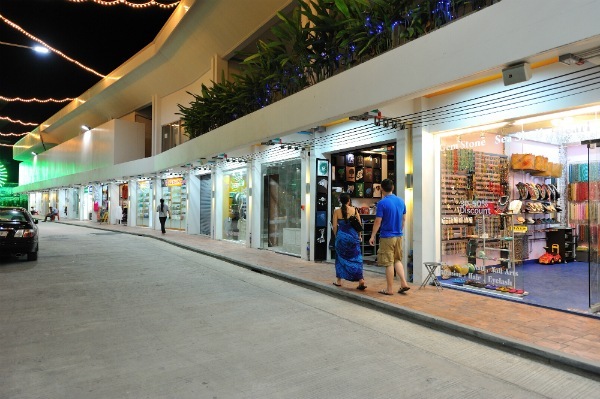 There is 150 retail stores in Patong Promenade. This place is quite quiet place. 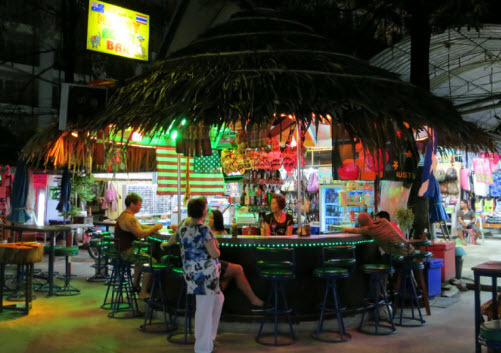 The sixth Phuket is a place to chill. There is the houses cafes, boutiques, banks and restaurants. 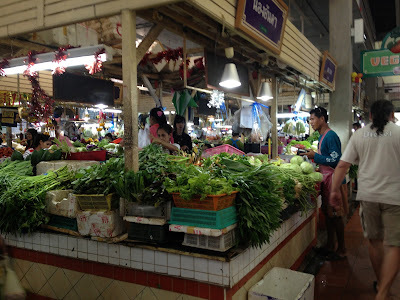 A good place to explore their local wet market. A modern-looking Thai fresh market on Nanai Road, right behind the Jungceylon. 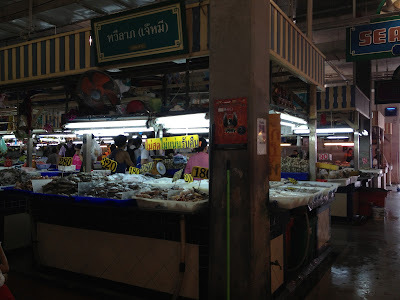 There is also sell their local food too. 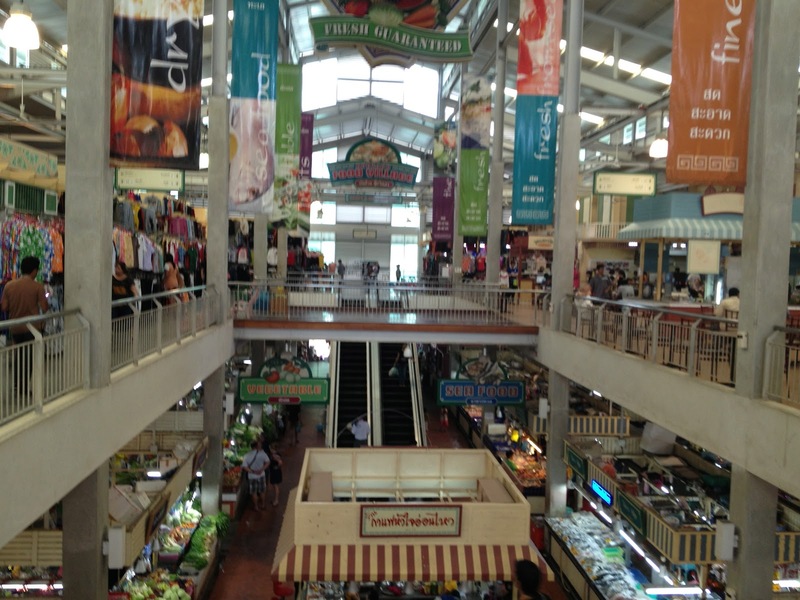 At their 2nd floor, there is a food courts and some shops selling clothes and shoes. The opening time is from 7a.m to 5p.m. The food is affordable and cost you less than 100 baht. Kee Plaza opened in late 2011 and boasts over 60 boutiques, shops and resturants under the shade of a large marquee. 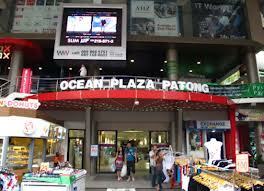 Patong has two Ocean department stores. This is the Central Bangla Road which is selling a riot of colours and products ranging from costume jewelry to funny hats to name-brand shirts and trousers. In third floor, there is a large sports outlet and a bowling alley as well as a dimly lit snack and beer bar. 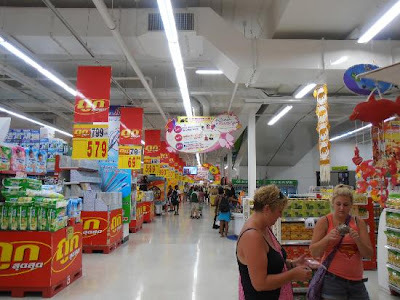 In the basement there is also a supermarket with reasonable prices.